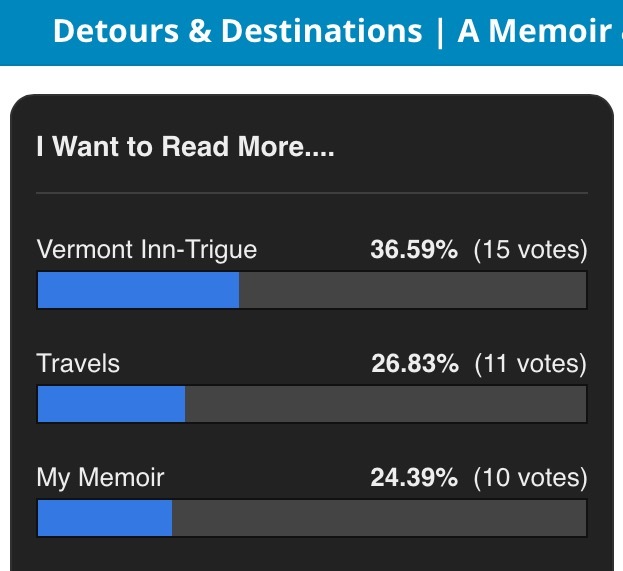 More than 40 followers of my blog took a readers’ poll that I recently issued. Although the responses indicate a diversity of interests, the message was clear: you want to read more tales about the Combes Family Inn, and you want me to throw in a bit about my travels, past and present. And, you want me to move past my “dry year” and associated diet and exercise journaling. Accordingly, I’ve put the innkeepers on notice that they need to dust off more of their apocryphal stories. 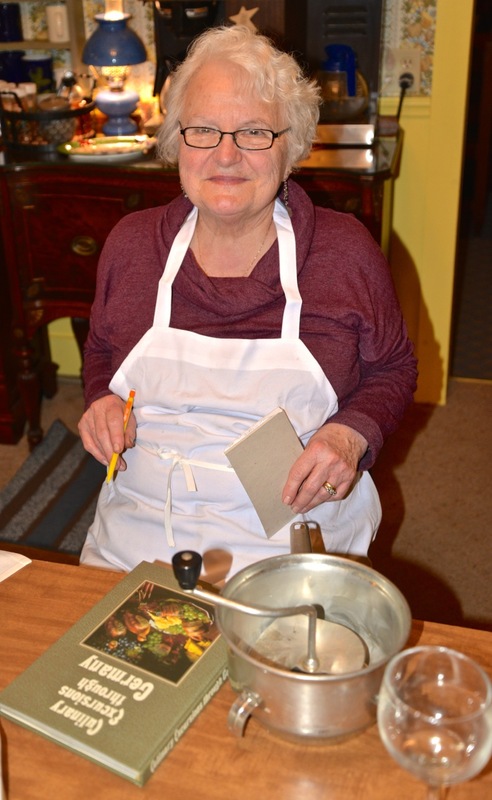 While we await a few more “Vermont Inn-trigue” inn-keeping stories, I’ll share several of Mom’s famous comfort food recipes that she recently made for a dining room full of skiers. 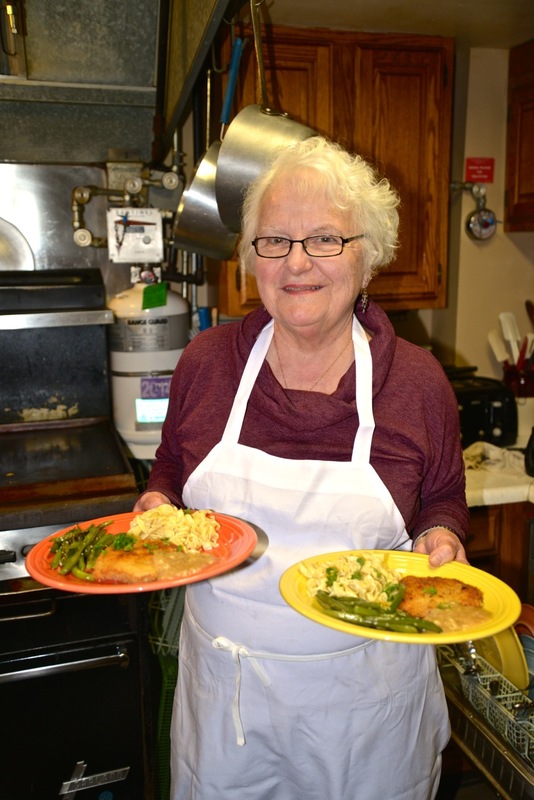 The menu included three of her most beloved winter recipes: broccoli soup, pork schnitzel, and homemade apple sauce. Perched on the precipice of spring, we’re alternating between days of snow melt, mud, and rain, and nights (and some days) of freezing temperatures, ice, and snow flurries. This is a great time of year to enjoy comfort foods, in winter’s last hurrah before spring fully arrives, bearing both warm weather and fresh fruits and vegetables. 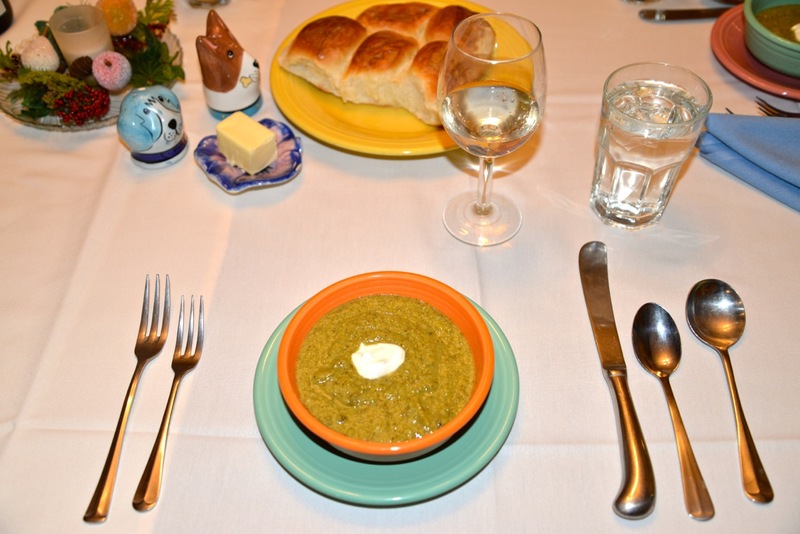 For the first course, what else but Ruth’s famous broccoli soup, a dish that has been on the menu since the inn opened in 1978? This treat, coveted by both family members and long-time guests alike, has transformed through the years. The original recipe featured cream, butter, and chicken stock, and had relatively little actual broccoli. The new one, as you’ll see below, is decidedly different, but it still tastes absolutely delicious. Melt 2 tablespoon of butter. Sauté celery and onions until tender. Add broccoli and broth. Cover and simmer for 15 minutes. Puree, using an immersion blender or a regular blender. In a small sauce pan, melt 3 tablespoons of butter, and stir in flour and cream. Stir until thick and add to the soup. Season with pepper and serve. Broccoli soup has always been Mom’s signature soup. Now, it’s just healthier and more flavorful. This is Joe’s recipe, which, as Mom notes, freezes very well. In a saucepan, bring broccoli and stock to a boil. Lower heat and simmer until broccoli is tender, about 45 minutes to an hour. Purée broccoli and stock with an immersion blender, food processor or blender, until smooth. Heat oil and/or melted butter in small saucepan and sauté garlic and basil briefly, until garlic turns brownish. Blend with about 2 cups of purée and process until smooth. Stir into soup. Season with salt, pepper and a squeeze of lemon. To serve, sprinkle with Parmesan cheese or a dollop of sour cream. The entrée course featured pork schnitzel, simple noodles, and homemade apple sauce. Unlike the broccoli soup, Mom never made schnitzel when I was growing up in the inn, so I asked her to tell the story behind this recipe. Pound pork loin between sheets of plastic wrap until 1/8 inch thick. Melt butter and shortening in frying pan. Put the above flour, panko and beaten egg each on individual plates. Dip both sides of pork cutlets in the flour, the egg, and the crumbs, in that order. Fry in pan until golden brown on each side about 2-3 minutes per side. Keep in slightly warm oven until ready to serve. Or keep cold and put in 400 degree oven for 5 minutes or so before serving. Serve with apple sauce. Slice apples. Do not peel or remove cores. Put apples and liquid in large covered pot and cook over medium flame for about 1/2 hr. or until apples are tender. Put apple mixture through a food mill. 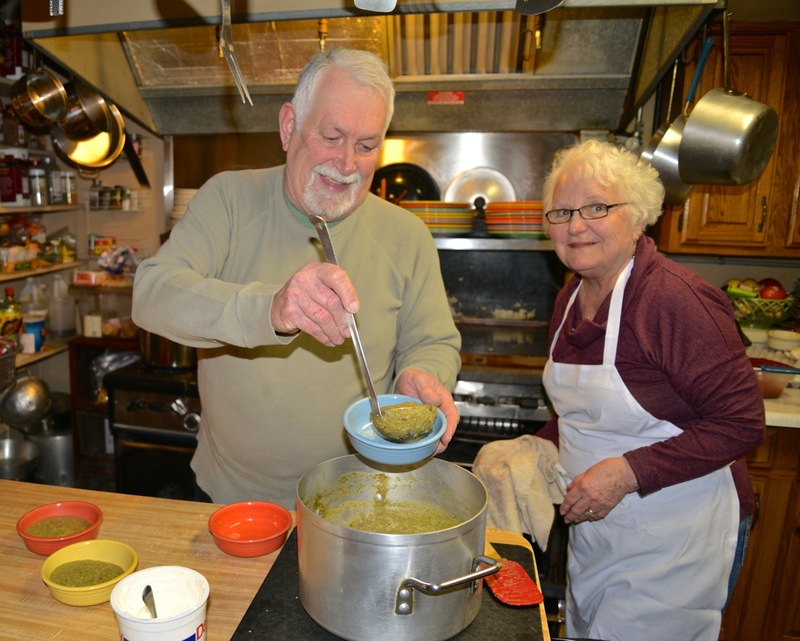 (“This is a great kitchen gadget, especially for pureeing soups and vegetables,” says Innkeeper Ruth.) Add lemon juice, brown sugar and cinnamon. Apple sauce can be frozen. Needless to say, dinner was absolutely delicious. That’s all…for now. Tune in next week to find out how Innkeeper Bill fared after two, individual, day-long bread-baking classes at the famous King Arthur Flour’s Baking Education Center, up in Norwich, Vermont. I’ve gotten “Schnitzeled” at the inn many times!